With the arrival of the all-new Infiniti Q30 approaching, recruitment has started for 300 new jobs required to support the brand's first ever entry into the premium compact segment. The new manufacturing posts have been created at Infiniti's newest global production base in Sunderland, UK, as preparations gather pace for the launch of the Q30, Infiniti's premium compact entry for global markets and the brand's first vehicle to be built in Europe. Representing a �250 million investment in the UK, plant extensions totalling over 25,000 m2 have already been added to the existing facilities in Sunderland, including a new Body Shop and an expanded Trim and Chassis vehicle assembly line. 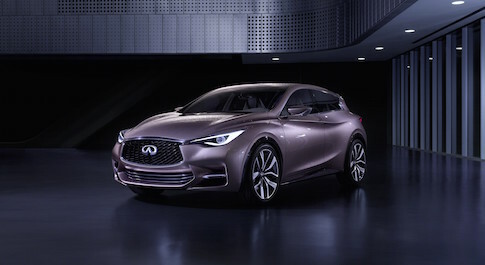 The new recruits will join the company ahead of the start of production of Q30 later this year, when Infiniti will become the first new car brand to start manufacturing in the UK on such a scale in 23 years. Colin Lawther, Senior Vice President for Manufacturing, Purchasing and Supply Chain Management in Europe, said: "Infiniti production heralds the beginning of a new era for our operations in the UK, and the demands of premium vehicle manufacturing requires significant additions to the team. "It is a fantastic time to be joining the company, as we prepare to launch Infiniti's first premium compact entry for global markets. In return we'll be looking for people who share the same obsession for detail and commitment to quality as our highly-skilled workforce in Sunderland." The current recruitment drive is higher than the 180 direct jobs originally announced in 2012 as a result of Infiniti allocation to the Nissan Motor Co. facility in the UK. It will take the company's Sunderland workforce to just below 6,800, supporting an estimated further 28,000 jobs in the UK automotive supply chain. The production start of the Infiniti Q30 at Sunderland will be closely followed by a second Infiniti model, the QX30, a new premium compact crossover. Both vehicles are integral to Infiniti's commitment to expand its portfolio and offer a broader range of products to its customers. Infiniti had a record-breaking 2014 with global sales of more than 186,200 vehicles, up 13.5% from the previous year. The company reached all-time high results in 19 markets around the world last year, becoming one of the fastest growing premium brands in a number of key regions and markets such as China, Western Europe, the Middle East and Mexico. The Q30 and QX30 will not only be the first premium models manufactured in Sunderland, but also the first to be exported from Sunderland to the North American and Chinese markets.